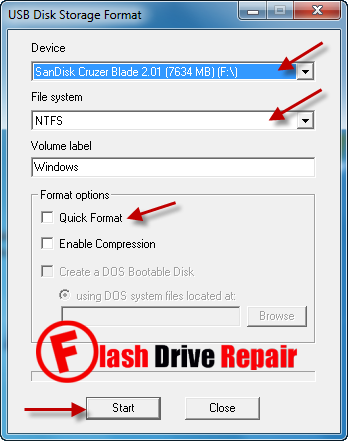 Generic USB Format tool is designed to repair corrupted SD micro card and USB sticks .Generic USB Formatter software format your USB flash drive and restore the factory setting.Generic USB Format utility support repairing most of USB Custom Flash drives .Also This software can format Patriot Memory stick . 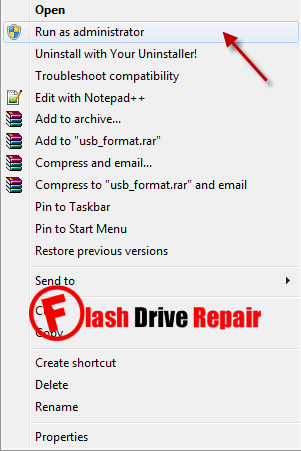 Windows unable to format flash drive . Write protected memory problem . Unrecognized USB flash drive . Corrupted USB flash disk . Flash memory size is 8MB or 15 MB . Flash drive can't open and it's Raw file system . Got this message "Please insert Disk " . 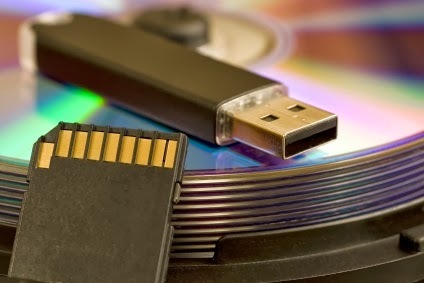 First Download Generic USB Format Tool from the download links in the bottom of this article .Insert your corrupted USB flash drive and open Generic USB Format Tool ,for windows 7 you must run the software as Administrator . Choose your Memory drive then choose the format system type FAT or NTFS .Click on Quick Format then click Start . Wait until finish formatting your flash drive .Please keep in mind, DO NOT unplug or plug any devices to your usb port during the operation. How to format a flash drive .